Effective sales compensation and incentive plans fuel the engines of successful sales organizations. A sound approach, enthusiastically embraced by management and salespeople alike, drives achievement and results. 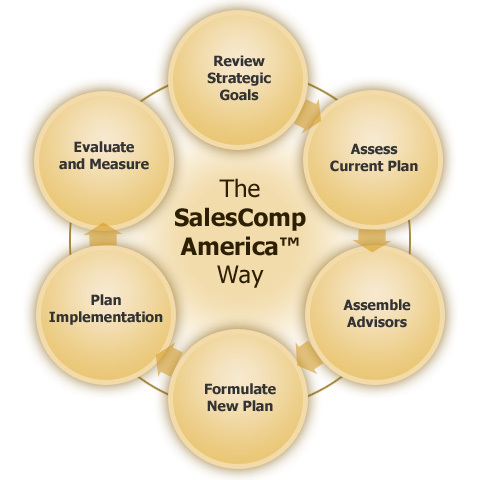 CommonWealth specializes in workable, common sense sales compensation plans for medium and small size firms. We develop new sales compensation plans or rejuvenate your current one. In doing so, we believe that neither the plans nor the processes have to be costly or time consuming for our clients. Sales professionals should have incentives that help ensure an organization reaches both its strategic goals and immediate revenue objectives. While this guiding principal would seem obvious, it is all too often ignored or compromised. With this in mind, CommonWealth Growth Strategies will develop a compensation program for you that will meet the needs of management and the salesperson alike. We will make sure that your compensation and incentive plan compliments, supports, and promotes your company’s long-term and short-term goals. It will also be cost effective. The CommonWealth Way encompasses both the philosophy and actions by which we position our clients for success. It says to you, “Let’s make sure that you have the fundamentals covered before anything else.” It embodies our belief that if the underpinnings of your sales organization are sound, you can set the stage for sales excellence year after year.” The diagram below gives you a sense of our focus and how we will structure our work. We can demonstrate the importance of following an orderly and logical process, from assessing your strategic goals to the evaluation and measurement of your new program. We invite you to review our services and the approach that we take. CommonWealth is skilled in positioning companies, large and small, to attain their sales and profit goals. Compensation is at the very core of sustained sales success. If you think we could help you, or you would like to know a little more, feel free to contact us by telephone or email. Find out how CommonWealth Growth Strategies can benefit your business. Sign-up for a FREE 30 minute consultation.